Google overtook Microsoft this year and it’s interesting to note that Tim Horton’s made the the biggest jump on the top 10 list climbing up 7 spots to claim the 8th spot this year. Ad spend alone won’t buy influence and that influence is earned. 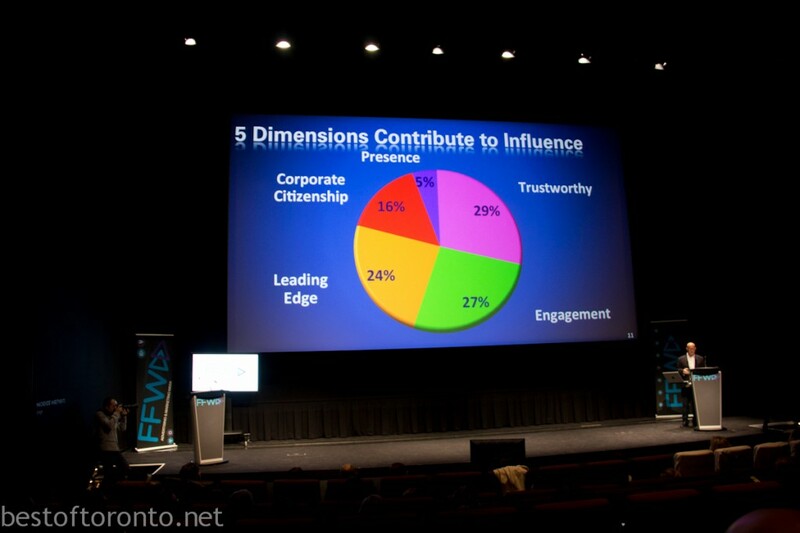 According to Ipsos-Reid, brand influence is measured by 5 key dimensions that define and drive brand influence: trustworthiness, engagement, leading edge, presence, and good corporate citizenship. The study showed that all 10 top ten brands have the highest marks in building influence and driving preference in an increasingly competitive marketplace. Unique to this year the study went beyond the Canadian market with consumers surveyed in 8 other markets including US, Mexico, Argentina, Brazil, UK, France, Germany and China to come up with another list of the “World’s Most Influential Brands”. This study also concluded that Google was at the top of this list as well. The Institute of Communication Agencies or the ICA (www.icacanada.ca) is the professional business association which represents Canada’s communication and advertising agencies. The ICA’s mission is to champion commercial creativity, amplify the industry’s economic impact, and to embrace and drive change. As such, the ICA promotes thought leadership, higher standards and best practices. It serves as the largest source of information, advice, education and training for Canada’s communication and advertising industry. ICA’s member agencies and subsidiaries account for over 75 per cent of all national advertising in Canada, with an economic impact worth more than $19 billion annually. More information about the ICA and its initiatives can be found at www.icacanada.ca or follow on Twitter @adweekcdn or @icacanada.